One Move For Big Triceps: Lying Triceps Extension. Training triceps is a must if you want sleeve busting arms - tri's are two-thirds of the upper arm after all. Use this basic exercise with any of the following methods & workouts and watch them grow. Training triceps is a must if you want big arms because tri&apos;s are two-thirds of the upper arm. The lying triceps extension is also known as the skull crusher so be careful. The lying triceps extension is a good movement to hit all three heads of the triceps. It is something that has been common among beginning bodybuilders for generations. They decide the first thing they must have is big arms and the first thing they do is grab a bar or dumbbells and curl until they can&apos;t move. If you are beginner reading this let us advise you now to save you a lot of headaches and frustration. There is more to the big guns than doing 1,000 curls. You may not know the biggest muscle in the arm isn&apos;t even the biceps. It is the one on the other side. The triceps make up about two-thirds of your upper arm. Therefore if you want to turn those pea shooters into cannons, you better start focusing on blasting the tricepss. 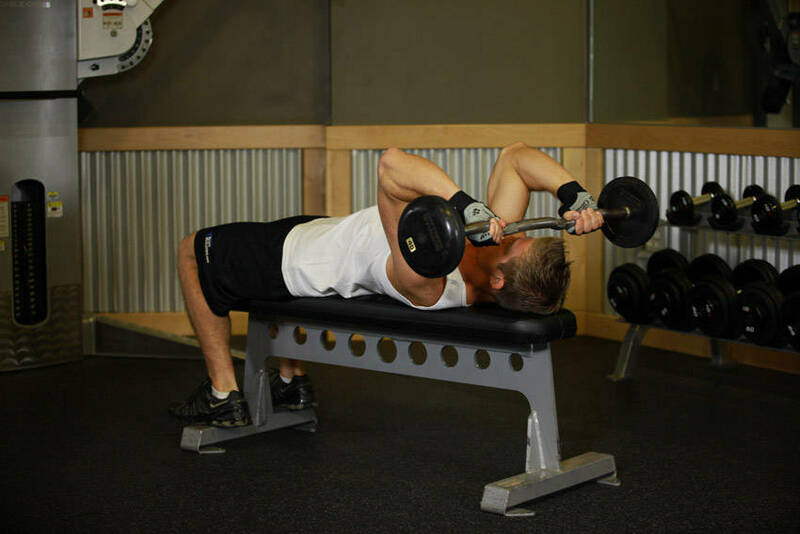 One great movement that is relatively easy to learn for building the back of the arm is the Lying Triceps Extension. It is known by another name too and if you don&apos;t pay strict attention to your form you will know firsthand why it has that other name. You may know this movement as "skull crushers." Enough about names for now. Let&apos;s learn how to do this movement right. Lie on a flat bench with either an EZ bar placed on the floor behind your head and your feet on the floor. Grab the bar behind you, using a medium overhand (pronated) grip and raise the bar in front of you at arm&apos;s length. The arms should be perpendicular to the torso and the floor. The elbows should be tucked in. This is the starting position. As you breathe in, slowly lower the weight until the bar lightly touches your forehead while keeping the upper arms and elbows stationary. At that point, use the triceps to bring the weight back up to the starting position as you breathe out. Repeat for the recommended amount of repetitions. Click Here For A Video Demonstration Of Lying Triceps Press. It would be easier and safer to have the weight handed to you by a partner or spotter. This ensures you have a solid grip once you take the weight from the partner and decreases the potential for injury. Also you can use a regular barbell, dumbbells or cables for this movement. Handed To You By A Partner Or Spotter. For more information on how to do that as well as video instruction on each of these movements check out the Bodybuilding.com Exercise Database. Now you know how to do the movement. Now let&apos;s find some ways for you to use it in the gym. These routines are sure to help you bust some sleeves on those shirts to make room for all that new muscle growth. Designed by the author of "Body By Design" Kris Gethin, DTP consists of 12 sets ranging from 50 to 5 and back to 50 again. You rest for 45 seconds between sets. This program serves many purposes including less time in the gym, the first set counting as a warm up, cardio benefit with the short rest breaks and many more. Pssst. Hey. Do you want to really blast those guns? Do you want a pump in your arms like you have never felt before? Do you want people to look at you like you are insane because your arms look like something out of a comic book? Then do Lying Triceps Extensions with DTP and superset them with EZ Bar Curls. Take the one move for big biceps and immediately follow it with the one move for big triceps. This is not easy but it is worth all the effort because your arms will have no choice but to grow. Here is how it would look in a log. This is a great workout to have with a partner. You have a little friendly contest to push yourself and your partner. You do 10 reps and then your partner immediately does 10. Then the partner hands it back to you and you do 9. Hand off to the partner for 9. This goes back and forth until you both reach 1 and then the fun begins. You go for as many reps as possible on the last set. Once you reach failure your partner does the same. Whoever reaches the most reps on the last set wins. This is a great way to push each other and make the workout more fun. If you are someone who trains alone you can do this too and still push yourself. You do 10 reps and count 10 seconds for rest. Go for 9 after that and rest 9 seconds. Keep following this method until you reach 1. Then go for as many reps as possible until you reach failure. 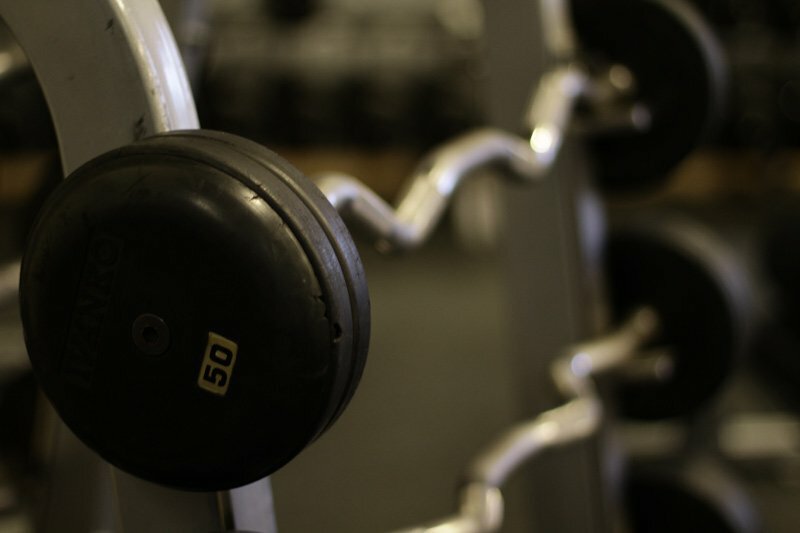 Whatever the number of reps you do on the last set is, write it down and try to beat that mark next time. Another superset you can do to blast the tris is just a matter of switching the grip you use after hitting failure. Once you fail with your usual grip of the bar then reset your grip so you are holding the bar at a different point and do another set. This helps you train the tris from a different angle and helps you completely fatigue the muscle. If you normally use a close grip on the bar then switch to a wide grip after reaching failure. Of course this works the other way too. If you normally go wide then go to a close grip and do more reps. Go for 12-15 reps each set and rest for about a minute. Hany Rambod&apos;s system is about as common in bodybuilding as bench pressing is. It is everywhere and it is obviously successful. The part you should focus on is the seven sets of 8-12 reps at the end of the workout with 30-45 seconds rest in between. Do your two or three regular movements and then go for the sevens at the end to really fill the triceps with nutrient rich blood. Now if you want to switch it up and keep the routine challenging you can take the FST-7 plan and flip it into reverse. Do the sevens first then do the rest of your exercises. This makes the other movements much more difficult to do so expect to use less weight than you normally would. This article should provide you with plenty of strategies to implement this great exercise into your plan to build big arms. As long as you keep it fun and challenge yourself every time you go to train you should see satisfactory results and will want to stock up on tank top and sleeveless T-shirts. Video Article: Dorian Yates - Blood And Guts, Delts & Triceps. Grab that chisel and let&apos;s get to work. Fine-tune your deltoids and triceps with 7 exercises from the master himself, Dorian Yates. 6-time Mr. Olympia, Dorian Yates is your trainer for shoulders and triceps. Be your body&apos;s personal stone mason, and hammer those deltoids and triceps into rock-hard pieces of art! 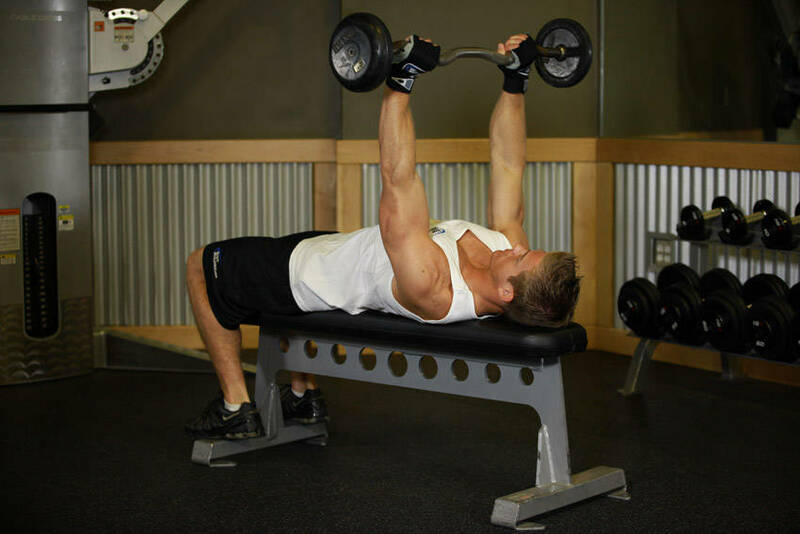 Pulverize Your Arms With The Triceps Grinder Workout! Gym rats and newbies both want big arms. But you won&apos;t get there by working only your biceps! Discover the killer way to build huge arms in this Tricep Grinder Workout! 4 Training Methods To Build Titanic Triceps! While biceps training is important also, it&apos;s vital to have a good balance in your upper body workouts. Here are 4 free training methods to really bring out the total size of your triceps.